With spring right around the corner, you should consider your options for a seasonal storage plan. From outdoor furniture to seasonal clothing and other items, every home has plenty of stuff that sits unused and gets in the way during certain months. If you take inventory of which items you don’t use throughout the year, you might find that renting a storage container from Porta-Stor is your best option. You can rotate winter, spring, summer, and fall gear whenever you need to with storage space that increases what your house provides on its own. By using portable storage containers for your storage needs, you don’t have to work on a strict schedule. You can add or take out items at your leisure to fit any kind of schedule. Also, Porta-Stor provides climate-controlled options to better protect your stuff, so you don’t need to be concerned about the safety of your temperature or moisture sensitive items during any type of weather. No one likes to park outside. Your car gets covered in bird droppings and other grime that can cost you time, money, and effort to clean off. Not to mention having to sit down in a car seat that’s been super heated by the sun! If you are forced to park outside because your garage is full of seasonal items that won’t be used for months, clear it out into a storage container so you can use your garage for your car. Patio furniture is both functional and makes a yard look great, but can go unused during rainy months. If you leave your furniture outside in the elements, you might find that it loses some of its looks and gets mildewy by the time the sun returns. If you store your patio furniture and other outdoor gear in a Porta-Stor container, you will know that it’s properly protected and will look just as great when you bust it out in a few months. When it won’t stop raining, you and your family probably spend more of your time inside your home, which can produce more clutter, especially if you have seasonal clothes and other belongings filling up your closets and drawers. Free up some space by putting unused clutter into your storage unit. The transition from winter to spring is a great time to organize your home, and if you have a storage container at the ready, you will find the task much easier. Don’t forget about seasonal storage for holiday and sports items. There’s no need to have decorations sitting around for holidays that recently passed by or won’t arrive for 6 months. 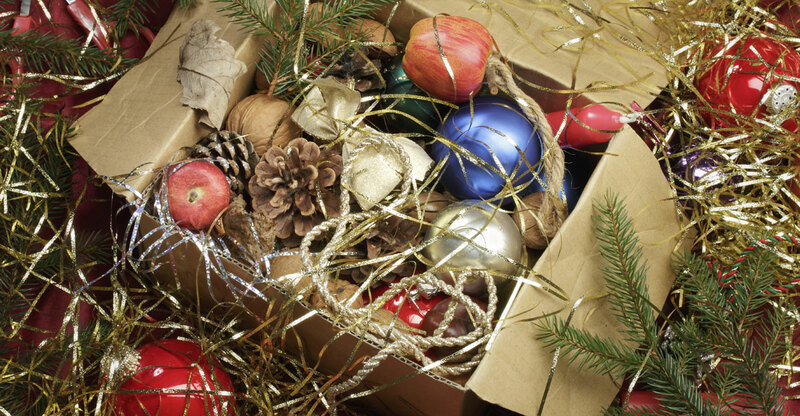 Get your holiday stuff out of your house and into storage. Same goes for your sports equipment that sits around until you need it again. Put away your skis, snowboards, kayaks, jet skis, or any other bulky equipment for safekeeping when you’re not using it. Look around your home. Do you see clutter building up in your closets, attic, and basement? Is your patio furniture and outdoor gear open to the harsh rainy weather? Is your car parked on the side of the street because your garage is too full? If you see any of these problems, give Porta-Stor a call. We’ll help you determine which container options are best for your seasonal storage plan.